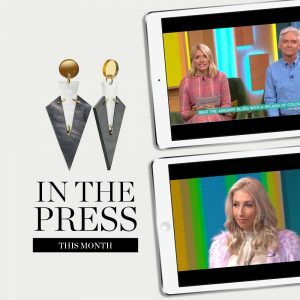 We were thrilled to spot our Art Deco Drops in marble and white on ITV’s This Morning with Phil and Holly! Styled by fashionista Trinny Woodall, model Carina looked fabulous during the fashion segment of the show. Banish Blue Monday In Style!